(RO)-Membrane cleaning is necessary to keep the membranes in a good condition. 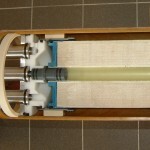 (RO)-Membrane cleaning is most effective when the fouling has not reached a point of irreversibly. This for example could be the case if parts of the fouling on the membrane surface cannot be reached with the cleaning solution anymore. For this reason, the most membrane manufacturers give specific guidelines for maximum pressure drops (NPD; Normalized Pressure Drop) or mass transfer ( MTC; Mass Transfer Coefficient) decline. The nature of the fouling is most of the time deducted indirectly from the location of the NPD or MTC decline. Biofouling is most commonly found in the lead elements of the membrane installation. Scaling occurs when the concentration of inorganic, sparing soluble salts is the highest. Which are by definition the end elements of a plant. Fouling of suspended matter can appear anywhere throughout the installation depending on its origin and form. This fouling can be influenced by temperature, pH, salt concentration and ionic strength. The best way to find out the exact composition of the foulants is by a membrane autopsy. Knowing the composition is important in order to conduct a successful membrane cleaning. Where fouling normally can be best removed with an alkaline cleaning, scaling requires mostly an acid cleaning. The results of the (RO)-membrane cleaning can be enhanced substantially by additives as surfactants, biocides and other chemicals, as can be provided by water treatment companies. Also higher temperatures of the cleaning solution have proven to help in shortening the membrane cleaning procedure. In some cases even a salt shock, just with a high saline solution, have shown effect in biofouling removal. Some membrane cleanings demand a specific soaking time, during which there is no flow, followed by circulation. Generally it serves to avoid flushed out materials to enter the system back in by discharging the first solution after soaking and using adequate filters in the recirculation line. To avoid contamination it is required to clean the system in different stages. Global Membrains has the expertise to conduct such research and optimize the treatment program over the different seasons. 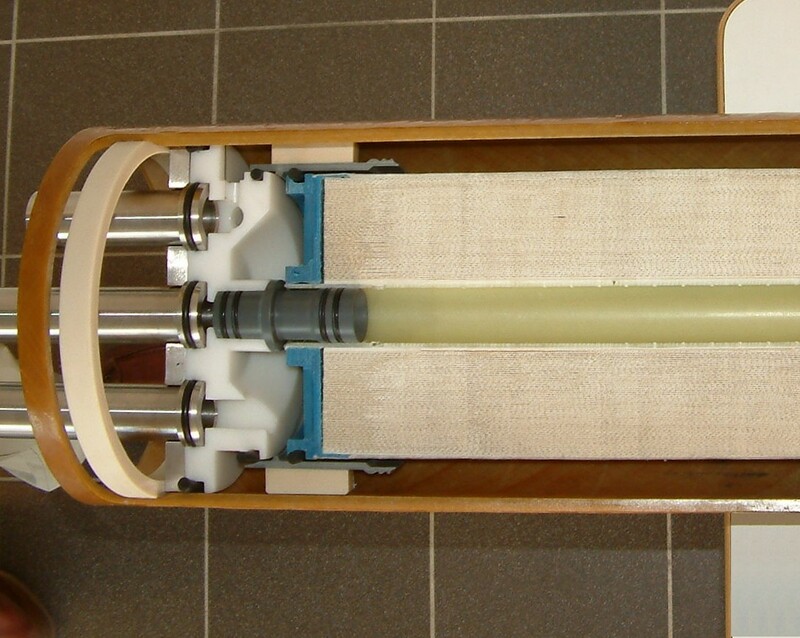 The Membrane Fouling Simulator that has been developed by Dr. Hans Vrouwenvelder can be of great value in evaluating different strategies for bio control of membrane systems.